Beauty. Glamour. What is the difference? Today’s photographer of the day image does both. The glamourous lighting couples gracefully with the pose and expression of the subject under the full moon. 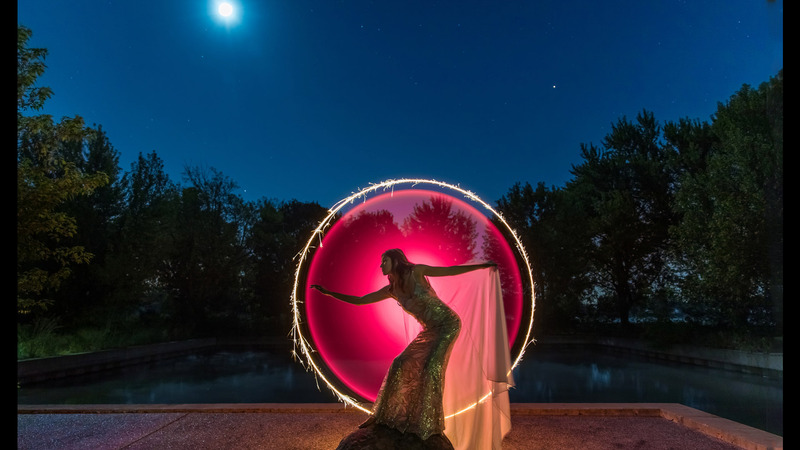 The circle of fire and light creates an almost silhouette that frames the model beautifully. It is an arresting photograph.